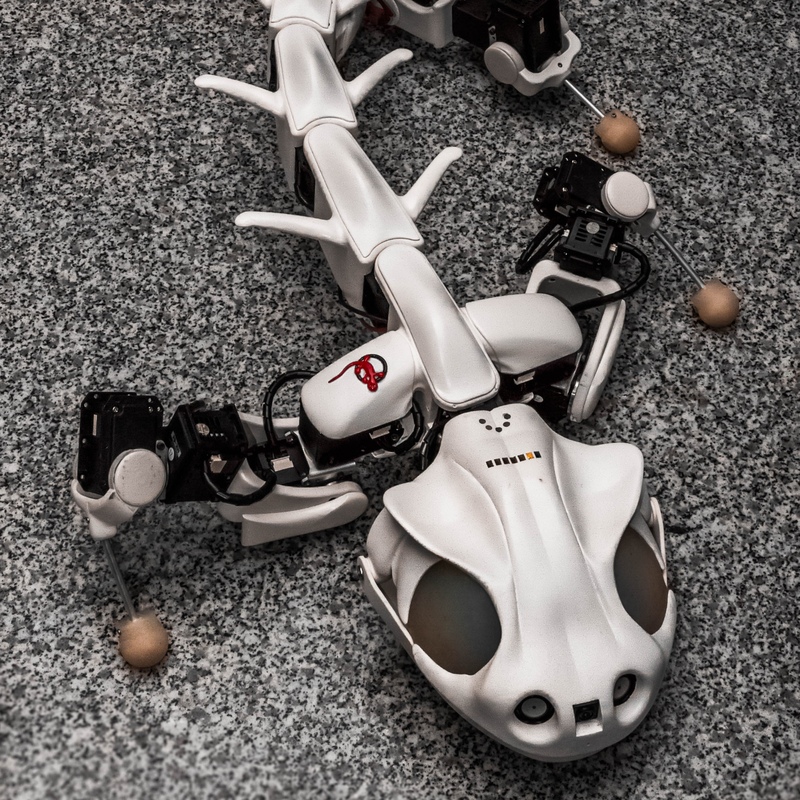 This Salamander-like robot is called the Pleurobot. Inspired by nature, the makers took the advantages that a biomimetic design can offer. They recorded three-dimensional X-ray videos of salamanders, Pleurodeles waltl while walking on ground, walking underwater and swimming. They tracked 64 points on the animal skeleton and recorded the 3d-movements of the bones in great detail. Using optimization on all the recorded postures they deduced the number and position of active and passive joints needed for the robot, resulting in the following robot. 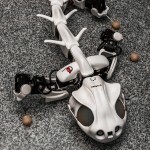 The Pleurobot provides torque control for all the active joint.